A boy soldier in WW1 writes home to his mother about his experience of war. A fifteen-year-old Australian farm boy lies about his age to enlist to war and is caught up in the horrors of World War I in Egypt and on the Western Front, where 5,500 Australian troops were lost in two days at Fromelles alone. 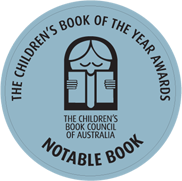 This boy's story in this unique, stirring picture book is based on true stories of the twenty-three teenage soldiers - one only fourteen - who fought with the Australian army in World War I, as recorded at the Australian War Memorial (their names among a list of 60,000 Australian soldiers killed in that war). The author's grandfather was a boy soldier who, unlike the hero of the book, did survive to return home. Told in the boy's own simple language and with extracts from his letters home, the story is extremely moving and evocative of the real tragedy of that worst of all wars. The illustrations in the picture book about a young boy enlisting for WW1 are beautiful. As is the case with many of these sort of books, the simple text can not explain the pull of emotion that you get from reading it. This is a book that would work very well with primary school students exploring the concept of war and even for high school students as they try to gain some empathy for the 16 year old boy who heads off to war. Another important addition to the shelves of books that try to show children what is lost during a war. Wow. 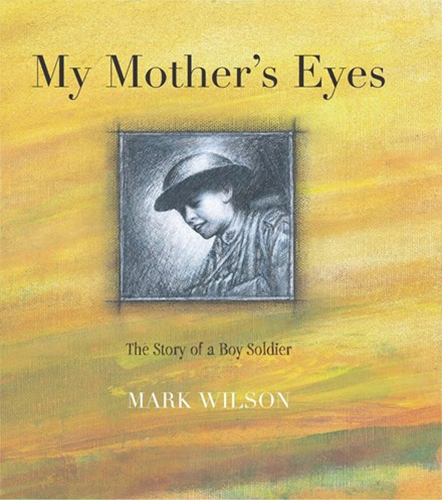 A very powerful book, about a young boy, just 15, who leaves his farm, signing up for the AIF during the First World War. Powerful images. Sad. I cried whilst reading it in the aisles at K-Mart.